Sen. Frank Artiles, R-Miami, while he was a state representative. Sen. Frank Artiles, R-Miami, was removed from a committee chairmanship shortly after his public mea culpa. And despite apologizing to Gibson in front of the entire Senate Wednesday, Artiles is facing growing calls to resign. He said he will not. “To Sen. Audrey Gibson: I apologize. I am so sorry for the words and tone I used for you regretfully Monday night. There’s no excuse, nor will I offer one. My comments to you were the most regretful of all because they injured you personally,” he said. The Florida Times-Union’s Tia Mitchell said she first learned about the Monday night conversation between Artiles, Gibson and another Democratic senator at a members-only club near the Capitol Tuesday morning. “It immediately caused a firestorm and by Tuesday night there were calls for Artiles to resign,” she said. As Mitchell reported, Artiles approached Gibson and Sen. Perry Thurston, D-Fort Lauderdale, at the Governor’s Club. Mitchell said although Gibson seemed to catch the brunt of Artiles’ rage, she’s been mostly quiet about her thoughts on what should happen next. “Senator Gibson has really been hands-off on what has happened and she did not originally leak the story. She was very surprised when I asked about what happened,” Mitchell said. Gibson’s colleagues haven’t been quiet. A number of her Democratic colleagues, some advocacy groups and the Florida Democratic Party have all asked Artiles to step down. That’s in addition to condemnations from some members of his own party and protests planned by his constituents in Miami. This isn’t the first controversy for Artiles. He was accused of assaulting a college student in 2015 and the Miami Herald reported a tape of Artiles using anti-Muslim slurs surfaced shortly after this latest controversy. The college student did not agree to press charges. Duval County Democrats Rep. Tracie Davis and Rep. Kim Daniels voted with the rest of the Black Caucus to file a formal complaint against Artiles in the Senate. The complaint will be reviewed and probed by a special investigator, Senate General Counsel Dawn Roberts. A report and recommendations will then be submitted to the Senate Rules Committee Tuesday. 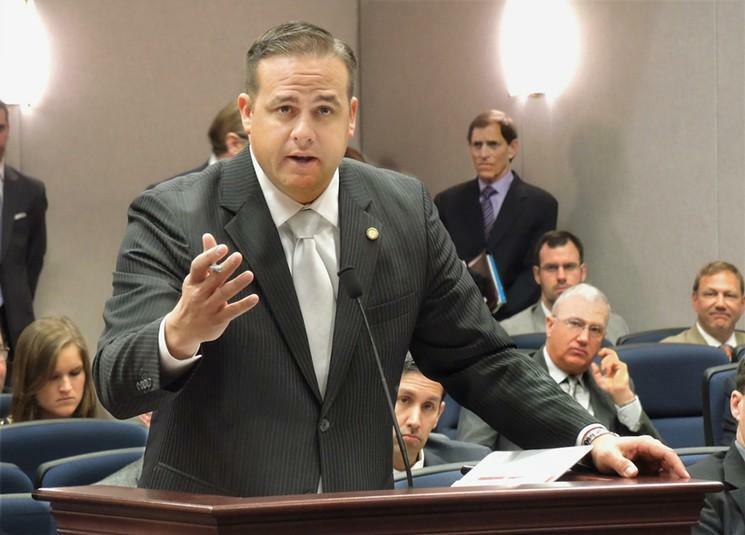 If found guilty, the Rules Committee could agree to suspend, expel or censure Artiles for his actions. Whatever the committee decides then needs to be agreed upon by two-thirds of the full Senate chamber. Calls to Gibson and Artiles were not immediately returned.